Car parks & meters are close by, Temple Meads Station is a 20 minute walk, or short bus ride. 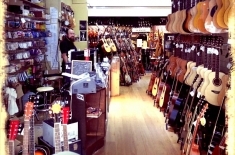 Hobgoblin Bristol is now one of our biggest music shops, having moved to great new larger premises a few hundred yards up the road in 2010. 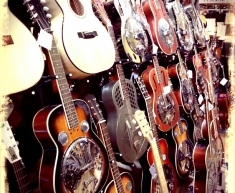 The same Aladdin’s cave of musical instruments is there, plus much more in the way of music books and a full range of items for all types of musician at the counter – and room to move! Car parks & meters are close by, Temple Meads Station is a 20 minute walk, or short bus ride. I just wanted to tell you how exceptionally pleased I am with the service I recently received from your Bristol branch. 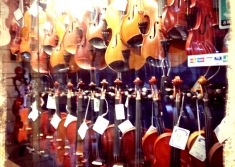 I have been wanting to take up the violin again for some time after giving it up as a teenager – it has been some years and I had little knowledge of what to look for in my new purchase. Yesterday I bought a new Stentor violin with the help of Will Simpson in Bristol, and I just have to commend him for his exceptional service. He was so patient, understanding and knowledgeable, even playing me a few notes so I could hear the difference between various models! Not only that, Will also gave me a fantastic deal to set me up with all I needed to get started. I am extremely happy with my purchase and very excited to be learning to play a magical instrument again at last. 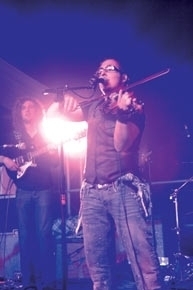 I would like to thank Will for making the purchasing process so easy and enjoyable, I will most definitely be recommending Will and Hobgoblin Music to all that I know. 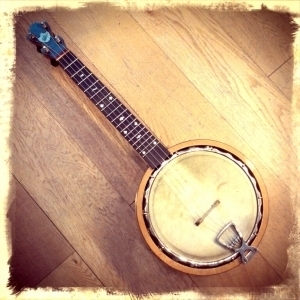 A few weeks ago, I ordered a new Serenellini 933 Deluxe Melodeon from your shop in Bristol. I just wanted to say what a pleasure it was to deal with the Hobgoblin Bristol shop. Cris was efficient and went out of his way to be helpful. The melodeon arrived safely and I am very, very happy with it indeed. Last night I took it to my local session for the first time, where it was much admired! Please will you pass on my thanks to your staff for the prompt attention and excellent service…your sales assistant, Lyn, at the shop was very patient and helpful, and resolved the problem to my complete satisfaction. Special thanks to her. 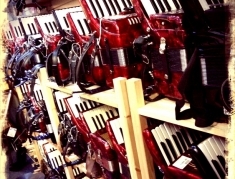 With helpful efficient and friendly service and the S/H melodeon I ordered by phone from your Bristol branch (but found on your website) arrived in two days!! really well wrapped and in lovely condition. 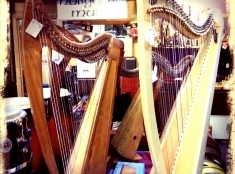 I am writing to you to express how pleased I am with the service and attention that I receive from your staff at Bristol…I have bought instruments from other dealers in the past, but I always feel as if they are just in it for the sale…Everything from the Hobgoblin catalogue to the instruments and service is right for me. 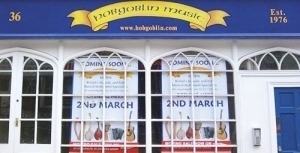 I am very committed to Hobgoblin as a customer and wish yourself, Tom and Lyn, and all the staff at all Hobgoblin Music every success. 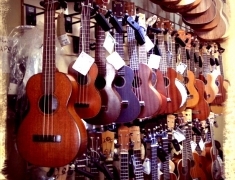 We just wanted to say what a refreshing change it makes to visit a store without being hassled by staff or stared at for fiddling with instruments. 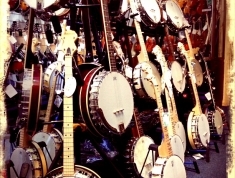 Many other music shops do this and it’s really off-putting. 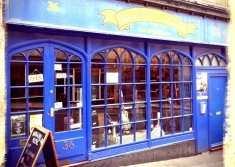 Whenever I am in the shop in Bristol I am treated very well, it is a top shop with friendly staff.